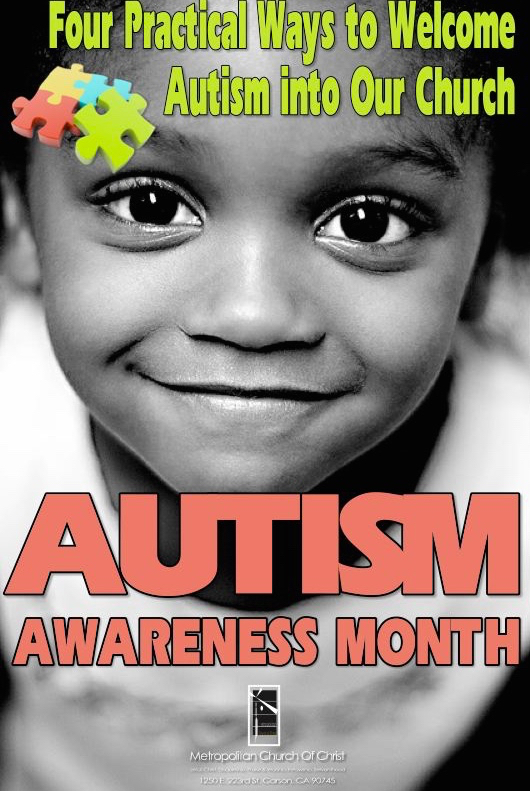 Autism strikes one in eighty-eight children, making it the fastest growing disability in our world today. The statistics make people scratch their heads and debate the cause. But when a child with autism enters your church, it's not about statistics anymore. Families with autistic children strive to make minor things work every day and make sacrifices most people are unaware of. Their goal is to build understanding with those who come in contact with their children. Some situations can be adjusted, while others just have to be given up. The key to ministering to this kind of family is to seek to understand what you don't know. Get to know them and their child personally. Each child will be remarkably different; there's really no "one-size-fits-all" approach. Learning how the child's autism affects their daily routine will help you apply that to their needs in the church building. Are they highly sensitive to bright lights and noise? See if the acoustics or lighting can be turned down. Does the fabric on your pews bother the child? Offer to add a softer, removable chair cushion in the sanctuary that the child can use each Sunday. Some autistic children are able to sit through a church service, while others have a harder time making it to the final "amen" without needing to leave. It becomes hard for families to stay in church, and sadly, many give up entirely. A few accommodations could make all the difference. Far enough from the sanctuary so overlapping noise isn't a big problem. Filled with things like CDs, art supplies, musical toys, and books. Equipped with a soft piece of furniture (a love seat or large chair) to help with sensory issues. Been checked by the parents for any issues that may aggravate the child's autism (fluorescent lighting, creaking cabinet doors, etc.). This room will be an excellent "Plan B" for those times when the worship service isn't tolerable for the child. If the child ends up using the room very often, though, the parents will get weary. This is where your church's ministry can go a step further. Helping watch the child will be one of the greatest blessings you can give the parents. It gives them a break and allows them to worship as a couple. Ministry Team: You could create an autism ministry team, complete with a list of adult workers who are trained to watch the child and someone to lead the effort. Training is as simple as gathering information from the parents and working together in pairs, which provides more physical help and confidence. Make sure all the workers know the parents' cell phone numbers in case the child is overwhelmed and it just won't work out. Some days are like that. Buddy System: Some children have a milder case of autism and will fit into children's programs, but with personal supervision. This is a case where a buddy system with older teens and college students would help. They would take turns staying with the child, going wherever they go. The buddy may even go into the worship service and sit with the child's family, should they need help at that time. Sometimes families encounter problems within a church body simply because autism can be misunderstood, causing fear and poor reactions. Ignorance is the root much of the time. This can be prevented by making the church aware of the disability and inviting members to get acquainted with the parents and, at their discretion, their child. Particular ways autism affects the child, e.g., sensory sensitivities, obsessions, reactions to change, food allergies, etc. Sometimes including someone with special needs requires special attention. But isn't that what Paul taught us in 1 Corinthians 12:22–26? 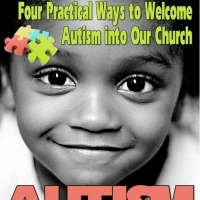 All churches can learn new things as we stretch to learn how to relate to autism and other disabilities. After all, each child with a disability represents a family who needs to come to God through Jesus Christ, so they can know and worship the God who makes them whole. Do you know a family with special needs in your church? Will you reach out to them this week?